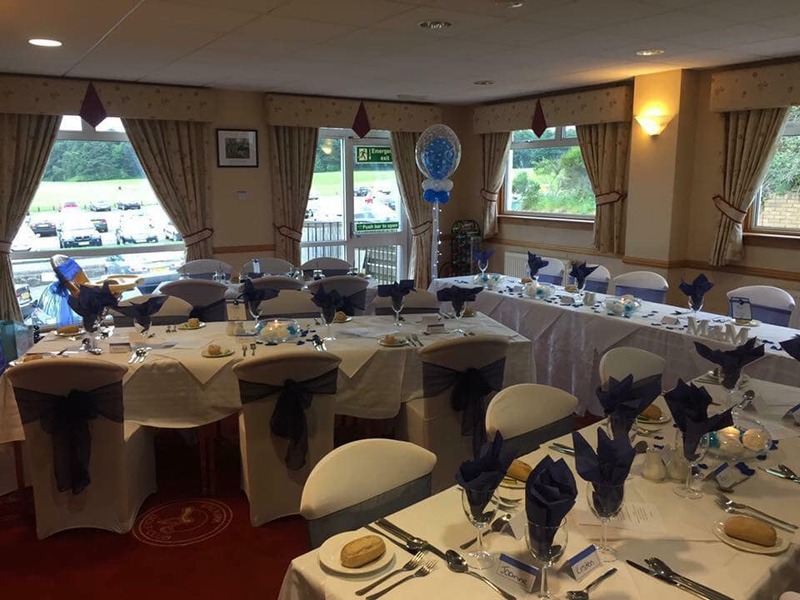 Our Carmuirs Suite (below left) is ideal for those larger special occasions where Jackie Greig our Function Organiser will help you organise the layout and decor. We have a small dance floor with an alcove to house your disco or band and our licence covers you for both Live Artists and Discos to make your special event a memorable one. 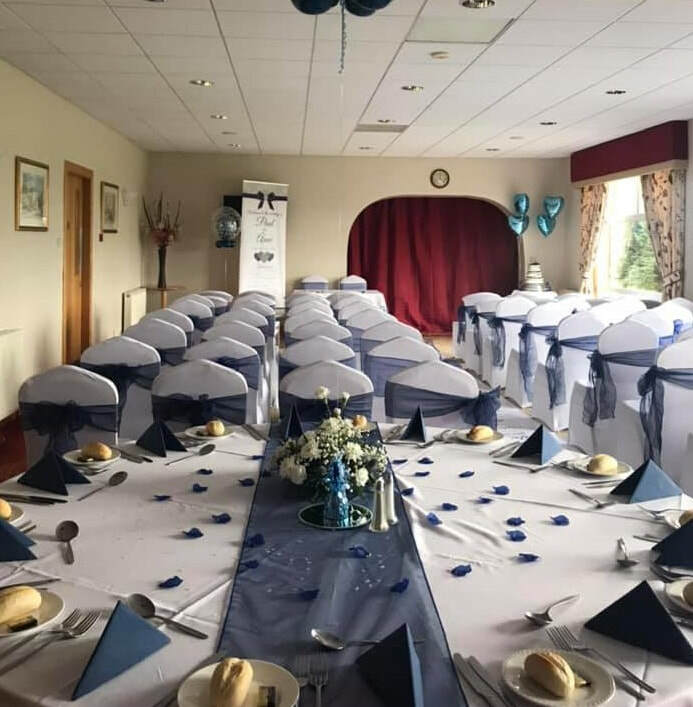 Smaller business conferences and those special anniversaries, birthdays or retirement/works celebrations can be accommodated in our Antonine Room (below right) where Jackie will again manage your requirements. ​The Carmuirs Suite or the Antonine Room are available to members and non-members of the golf club. A deposit is taken to secure the booking and will be refunded after the event. If room only is required there is a small charge. We have a full bar and our catering service is provided by our excellen catering staff - please call us to discuss your needs on 01324 611061 Option 2. Booking form and further information is available for download - please click here. ​We are also delighted to host a Business Breakfast Club for the Forth Association of Business twice monthly. This is a regular networking meeting for smaller businesses where the day commences at 6.30 a.m. with a Full Scottish Breakfast.